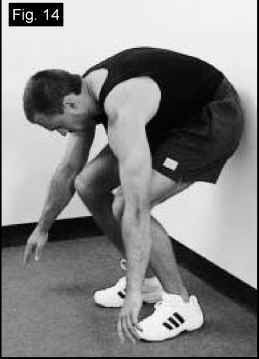 When I do 'negatives', I can do the top three quarters of the movement very slowly, then I just 'fall through' near the floor. What should I do? Pace yourself so it takes you 3-4 seconds to evenly go from the upright position to the floor, rather than taking four seconds for the top part of the drill only to collapse to the bottom in a fraction of a second. Keep your glutes locked tight. Consider getting some assistance from the bungee cords for the last hard inches. On the way down on the last rep of every set you may also hold on to the bungee cord and pause for a 1-5 seconds at your weak angle. You will quickly strengthen your sticking point with this powerful Russian technique. If you choose to use it, do not hold your breath during the pause! 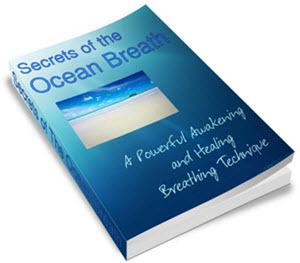 Make the breath shallow and constrained to maintain steady intra-abdominal pressure. Do I have to try to curl and uncurl my back? As long as you move slowly, without jerks, Ab Pavelizer™ situps will take care of the proper lower back alignment. Your back will curl without you having to worry about it. My lower back muscles feel tight when I do Ab Pavelizer™ situps. Any suggestions? Prof. Janda recommends stretching your lower back if you have this problem. I recommend a souped up toe touch. Stand with your back close to wall. Do not touch the wall, it is there to spot you if you lose balance. Keeping your knees locked or nearly locked, slowly bend over as far as you can. 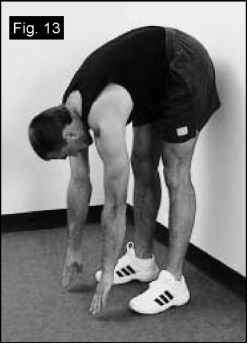 (Fig.13) Next, inhale and tighten up the muscles on the rear side of your body: your back, glutes, and hamstrings. Imagine your body is a tightly clenched fist. Hold the tension— and your breath—for a second, then suddenly relax and let the air out with tension. You will drop an inch or two increasing your stretch. "You must relax instantly... picture yourself exerting all your strength in an effort to push a large boulder off a sheer cliff. When suddenly the boulder goes over the edge, there is no active resistance to your pushing and all you straining instantly ceases. It is that feeling, that nothingness after the boulder drops, that you are striving to obtain when you "turn off your source of power". Sigh with relief, and repeat. When you can no longer increase the stretch, bend your knees, and stand up. (Fig. 14) Bending your knees on the way up is essential. It relieves the distress on your back making the once criticized toe touch a safer back stretch. If you want to know more about state of the art Russian stretching methods, Power Stretching is the book for you. Call (800) 899-5111 and regain the buoyant flexibility of your youth. I have a serious back condition. Can I do Ab Pavelizer™ situps? Only with your doctor's approval. Chances are that you will get it. Ab Pavelizer™ situps are surprisingly easy on the lower back. Usually Comrades with bad backs report that their backs feel AWESOME from Ab Pavelizer™ situps—even if they hurt from any other ab drill, including crunches. My neck usually bothers me when I train my abs. Will this be a problem with Ab Pavelizer™ situps? Not likely. We only do three to five reps per set, that is not long enough to exhaust your neck muscles. Besides, you are supposed to take a brief rest every time you lie down and sit up. Also, do not place your hands behind your neck. Do I have to sit all the way up? I heard that you only work your abs as you come off the floor. Even though the original Janda situp takes you only half the way up, I instruct my victims to sit all the way up. You will get an extra break on the top that will translate into greater concentration on tension and better gains in muscle tone. Does the Ab Pavelizer™ strengthen and tone all the muscles of my mid-section? You bet, Comrade! Prof. Janda did EMG tests of his supersitup and it showed increased electrical activity in both the abs and the obliques. For extra emphasis on your obliques, or the 'love handle' muscles, I recommend you descend with most of your weight on one foot (you don't need to twist). Alternate your sides every rep, for example left-right-left-right for a four rep set or left-right-left-right-straight for five repetitions. Do not use this technique until you have mastered the basic Ab Pavelizer™ situp(Fig.12A). Will the Ab Pavelizer™ make me a better athlete, or are my newly shredded abs just for looks? I have never compromised function for form in my training programs. Pavelized abs are as strong as they look. OK, so you go toe to toe with the Ab Pavelizer™. YOu blitz your abs into screaming submission. Ybu temper your laughable belly into a bunched pack of knuckle-breaking nasties. Ybu startle yourself when you catch your abs in the mirror. Ybu'd cause the Terminator to go into meltdown. Fine. But can you handle the rest of it? From people?—the fear? The respect? The envy? The blatant desire? The worship? Get a grip now—we are talking serious emotional situations. Can you handle just being for your abs? Can you handle the constant staring? The wanting? The popeyed disbelief? The whispering behind your back? Rubberneckers getting into fender benders at the sight of you? If you are going to have Pavelized abs you better be able to handle the attention. It gives a whole new meaning to 'gut-check time'. If you can't hack it, then get help— and order your Ab Pavelizer™ when you are ready.